That’s because as highly-decorated, multi-era Military Veterans and successful, credentialed Project Managers ourselves, we know that many Military Veterans have enough significant project management experience, talent and interpersonal skills to secure meaningful, lucrative, familiar post-Service careers as Project Managers. Our collection of services synthesize to provide a full professional-development stack our Veteran Clients need and our Employer Customers demand that produces highly-qualified, low-risk, project-ready on day-1 project managers, all on an average of only 60-90 days! We use a cutting-edge curricula, training aids, and learning management system delivered by Military Veterans-turned-Civilian Project Managers to provide Veteran Clients with a familiar military foundation useful for building their civilian context on. We further this personal context development by translating military leadership into its commerical form recognizable and valuable to civilian hiring managers: project management! Most Veteran Clients complete the entire program in only 60-90 days! We use our decades of experience developing and placing technical talent to provide our Employer Customers with custom solutions for their job advertising, hiring, and development needs. We leverage our People as a Service (PaaS) model to help Corporate America turn its Veteran Hiring and Lean Initiatives from slogans into robust, legitimate, high-impact, profit-producing programs! Therefore, we provide People as a Service (Project Managers) and Project Management as a Service (project management training and consulting) to help you achieve your strategic goals and desired results. 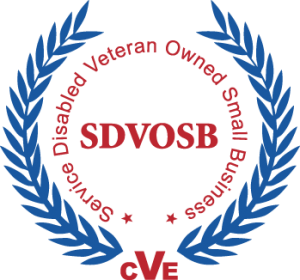 As a Service-Disabled Veteran-Owned Small Business, we understand the competitive advantage of lean thinking, proper staffing, and consistent success in delivering meaningful processes, projects, and programs can provide organizations. Military missions and exercises share the civilian definition of a project: a temporary endeavor undertaken to achieve unique goods, services, or results. This means that any military leader ever responsible for receiving, planning, resourcing, leading, controlling, and briefing out a mission or exercise has proven project management experience, talent, and interpersonal skills. Based on our decades of experience in multiple uniforms over multiple eras, and on our multiple decades of experience delivering a myriad of projects and programs in multiple civilian organizations and sectors, we have developed a simple, actionable process for you to leverage your military leadership into meaningful, lucrative post-Service careers in project and program management. “The Vets2PM program has a Cost/Benefit superior to other training products on the market. As I gained further knowledge and exposure to the program I learned that Vets2PM is a support group as well as a community of learners”. “A must take course for transitioning veterans pursuing a project management career. Vets2PM breaks down the civilian language barrier and translates the terminology for vets to better understand”. “The Vets2PM Course and training materials are invaluable in learning PMI’s Project Management concepts. More importantly, the course focuses on helping you “understand the material” and laying the foundation that assists you in becoming a better Project Manager.. The course helped me tremendously in passing the PMP exam! I give the course an A+!!”. Why Vets2PM for your recruiting? As decorated Military Veterans-turned-successful project and program managers and executives, we know what our Veteran Candidates are capable of, and what you need them to look like, act like, and sound like to be successful in their new project environment, your organization! Additionally, our PMs are decidedly different from the average PM candidate you are used to seeing: they have successfully managed extremely challenging projects for many years, in austere, resource-constrained environments, with the most demanding stakeholders and objective: failure is not an option. This means you hire only vetted, highly-qualified, deeply experienced candidates, which makes them a low-risk, low-cost, high-impact, project-ready on day 1 superstar hire. Post your jobs here for exposure to 2,000+ Veteran PM Candidates. As a Corporate Partner, we feature your logo on our PM Career Services page, with a link to your Web Site careers page, which offers immediate access for our viewers to link directly to your site and apply for positions. Project and program good practice provide baseline planning, documentation, and enhance organizational timely, accurate strategic decision-making, which can help military and civilian organizations alike. Our project and program managers understand both environments, and produce results in both! We can train and/or consult with your employees and teams using the field manual of project management; the PMBOK® Guide, and its proven TTPs (tools, techniques, procedures) to manage time, cost, risk, quality, planning, and communications effectively.